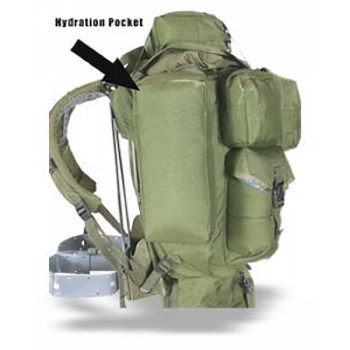 This modification is the same as the Five Pocket Combo but the left or right side pocket will be replaced with a hydration pocket that will accomodate up to a 3 liter hydration bladder. Please specify right or left hand as worn. ALICE packs and Tactical Tailor MALICE Packs. To add modifications to other manufacturers ALICE-style packs, please contact the custom shop directly for pricing.